Does your company or organisation need expert IT help and proactive management so you can stop ‘putting out fires’ and focus on your core business? Our Managed IT Services are an all-in-one support solution – including day-to-day support, proactive system monitoring, preventative maintenance and many other important services. Get the peace of mind that comes with knowing your systems are being managed by a team of enterprise-level experts and are running like clock-work. Immediate assistance with any minor computer tasks. Troubleshooting more complex issues or assisting with major IT projects. Closely monitoring your network and making sure it runs smoothly. Fine-tuning and Detecting System Issues before they become a threat. Ensuring that any problems can be detected and resolved early. So you never lose critical data in an emergency. Get brand name equipment at the best prices without dealing with other companies. With Pronet, you get an all-in-one support solution customised to fit YOUR situation. Because we understand not all businesses need the full spectrum of IT Services, we can start out small – assisting your existing team – or scale our services up to become a full IT department. With fixed fees and Service Levels Guaranteed, it’s easy to see why Pronet could be the IT solution you’ve been looking for. Do you wait hours or sometimes days for IT support? That’s unacceptable! Our emergency 30-minute guaranteed response time means we are in-touch within minutes, no matter what. Our Managed IT Services have been designed to detect and solve most IT issues before they become a problem. This is based on the principle that it’s better for you to fix problems proactively on an ongoing basis, than it is to wait for inevitable disasters and ‘meltdowns’ to occur and having to call in high-priced technicians on “emergency rates” to get you out of a sticky situation! Prevent downtime and ensure network security with proven, pro-active protection from all incoming threats such as Spam, Viruses, Trojan Horses and Worms. Feel unlimited confidence in your IT solution with real time monitoring of your network, internet connection and backup system. Complete transparency with detailed reporting on all actions taken, downtime and solutions. You know what you’re getting for what you pay. Ultimate peace of mind thanks to our complete data backup and disaster recovery service. Fast resolution of network and workstation issues with Live Help Desk and Remote IT Support. In short, having managed IT services is like having your own IT department, customised to your organisation size and needs so your solution is not too big, not too small, but just right. 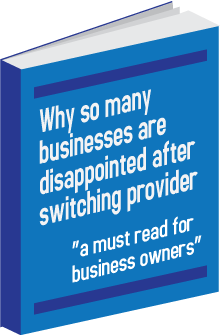 Do you know if Managed Services will work in your organisation? Pronet’s Managed IT Services are already used by a wide range of businesses and organisations, from small businesses to medium enterprises with up 150 employees. 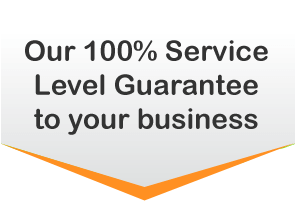 The benefit of our services is that, while we offer Enterprise-level support and expertise, you only pay a fraction of what large enterprises would pay. Why not contact us on 03 9069 2188 for an exploratory chat about your IT support and management needs. With 5 or 10 minutes on the phone, we can usually tell you whether or not we can be of assistance. If it turns out we may be able to help, from there we can offer you a no-obligation onsite audit of your situation so we can advise you on the best IT infrastructure and support solution. If our suggestions and proposed course of action make sense, we can talk about working together. But the first step is to contact us to find out more. Call us on the number above or head over to our contact us page to get in touch!